Topic: "We Know the Truth, But Reconciliation Still Needs Direction"
The Hon. 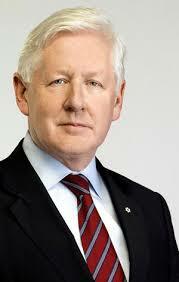 Bob Rae is a senior partner of Olthius, Kleer, Townsend LLP where he works with First Nations across Canada as legal counsel, advisor and negotiator. He served as Ontario’s 21st Premier from 1990 to 1995 and Interim Federal Leader of the Liberal Party in 2011-2013 during which time he played a significant role in the rebuilding of the federal party and its return to power in October 2015. He was named Queen’s Counsel in 1984, appointed to the Privy Counsel of Canada in 1998, named as an Officer of the Order of Canada in 2000, received the Order of Ontario in 2004 and Companion of the Order of Canada in 2015. Mr Rae led a major independent inquiry and landmark report into the Air India bombing which took place on June 23, 1985 which was one of the worst terrorist incidents in Canadian history and made recommendations to the Minister of Public Safety which have proved important to safety of Canadians in travel today. In addition to his legal practice, he teaches at the University of Toronto as a Distinguished Senior Fellow at the School of Public Policy and Governance. He has also written five books, most recently “What’s Happened to Politics.” He has a regular column in The Toronto Star and a frequent commentator on politics south of the border after the election of President Trump. In November 2015 he also received the Churchill Society Award for Excellence in Advancing the Cause of Parliamentary Democracy and his entire political life stands as a testament to his belief in parliamentary democracy and a society which protects less advantaged and marginalised.